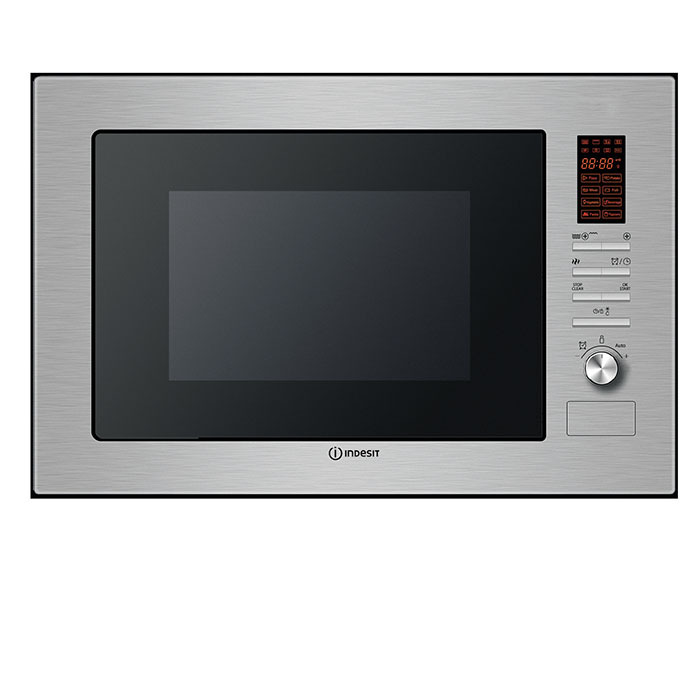 This Hotpoint built-in microwave oven with grill lets you prepare lots of meals quickly and conveniently. It's perfect if you live in a small household, thanks to its 20 litre capacity. And, because it has a 1000 Watt power output, you'll never be waiting long for your food. Whether you're defrosting meat or making a meal-for-one on a busy week night, there's 5 power levels to choose from, so you'll always be in control of your cooking. It also has a handy electronic minute minder, so you'll always know when your meal is ready. This model fits at eye level.